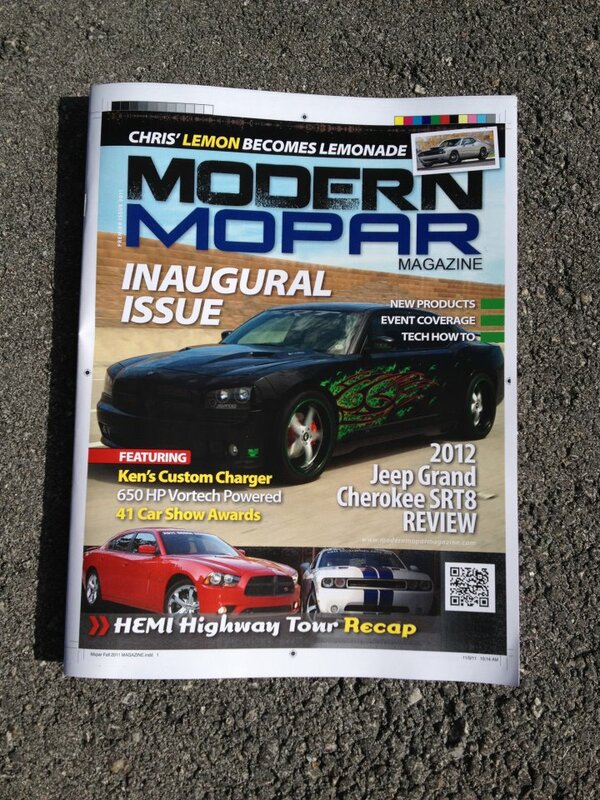 « It’s official…2012 Charger SRT8 Super Bee is back! 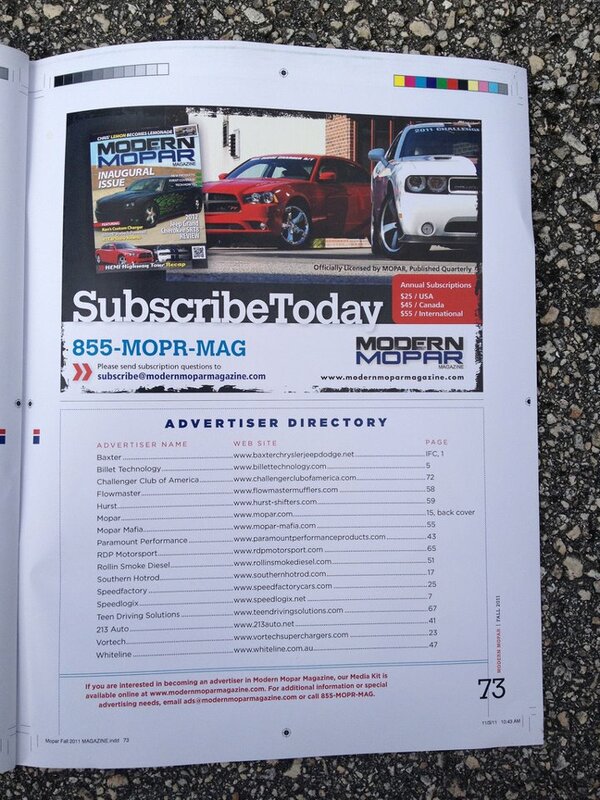 Modern Mopar Magazine is a brand new publication focused exclusively on late model Mopar vehicles. Intense coverage of the current Challenger, Charger and 300 as well as favorites such as the Magnum, Jeep SRT-8, Neon SRT-4 and Viper make Modern Mopar Magazine a one-of-a-kind publication. Modern Mopar Magazine provides sole and complete focus on the entire late model Chrysler Group line-up of vehicles for the enthusiast via new product releases, performance how-tos, racing and event coverage, technical explanations and project car builds.